You can see how many driving credits you have by logging in to the app or website and going to your 'Account' page. 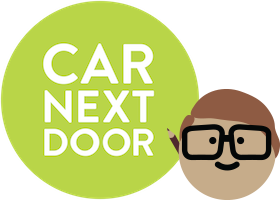 You can earn driving credits by inviting friends who join and use Car Next Door. We may also give you driving credits if you're been invited by a member, or in promotions from time to time. These driving credits are applied to the next trip you take with Car Next Door. Think you have some credits missing? Credits earned from inviting friends to use Car Next Door are only valid once your friend takes a trip or lists a car. You won't see them listed on your Account page until your friend has used us (not just signed up). These credits also expire 3 months after your friend takes a trip or lists a car, so you won't see them listed in your account if they have already expired. Some other driving credits are also issued with an expiry date, and won't appear in your account after this expiry date has passed. You can't use driving credits after they have expired. If you think you have valid credits that aren't appearing on your Account page, please contact us so that we can investigate.